It was back in 2011 that we first came across what was to become the PBO Project Boat on eBay. Hantu Biru was sitting in a sorry state on a Dorset farm and became ours with the click of a mouse. The next steps weren’t quite so simple! PBO editor David Pugh and deputy editor Ben Meakins say: ‘We had intended to have her in the water in a year, but the scale of the task ahead soon became apparent, and she finally entered the water three years later. One year on from her launch, we finally finished her off (as much as any boat is ever ‘finished!’) just a day before this handbook went to press. ‘The incentive of monthly copy deadlines and the fear of blank pages kept us going, but so did the pleasure of a job well done. Each stage of the project felt like a milestone. Another major incentive was the great response from readers, many of whom told us that, inspired by the project, they had started on their own boat restorations. ‘The letters, emails and phone calls, as well as kind comments from so many of you at boat shows, have helped us to continue to make progress with Hantu Biru’s restoration, even in the dark days of snow showers and paint flakes. ‘Of course, you don’t necessarily need to strip a boat back to a bare shell to restore it – it’s perfectly possible to just do the bare minimum required to get back on the water. So enjoy the handbook, dip in and out to see if our experiences can help you do what you need to do, and enjoy sailing your project. Win the PBO Project Boat! Not only can you read in detail about how the PBO Project Boat was restored – but you can also win her! Hantu Biru is up for grabs, and details of the competition will be revealed in full at September’s Southampton Boat Show. To find out more visit the Project Boat at berth M612 or the Time Inc marine media stand E1. 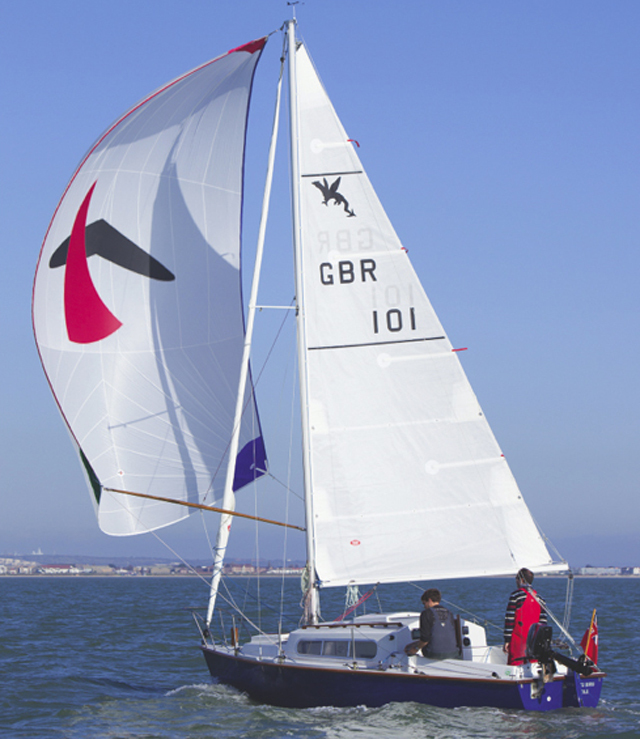 Hantu Biru’s lucky winner will be announced shortly after the London Boat Show in January. The Project Boat may have been bought for just £510 on eBay, but the restoration bill topped £6,250. When you consider Snapdragon 23s in good condition go for £3,500-£4,000, it’s obvious the project wasn’t about making a quick buck: instead, Hantu Biru has generated many PBO step-by-step articles and inspired thousands of readers not to give up on their own project boats. The competition will be open to global entries: however, delivery of the boat is restricted to UK mainland only. In the event of an overseas winner, they will be responsible for delivery to their home port. The boat will undergo a full structural survey prior to handover, with any recommendations as a result of the survey completed.